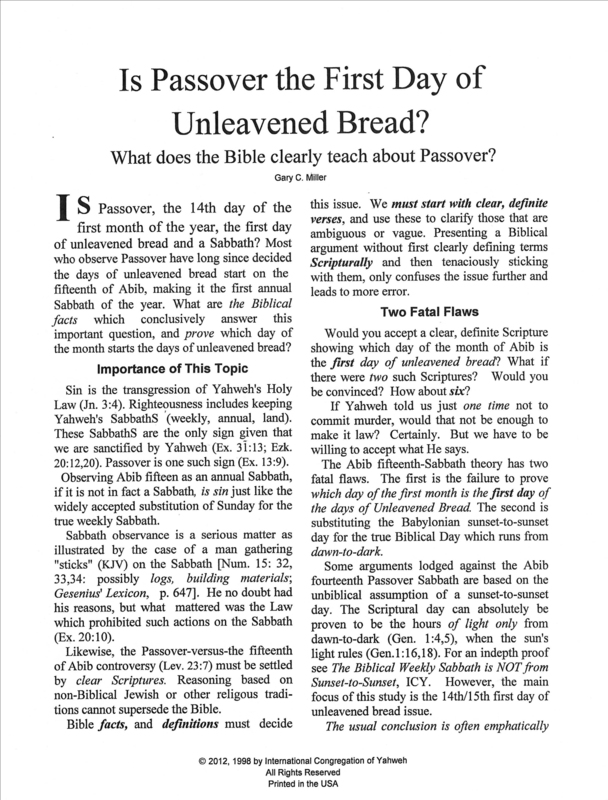 Is Passover, the 14th day of the first month of the year, the first day of unleavened bread and a Sabbath? 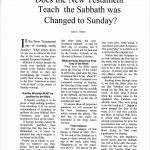 Most who observe Passover have long since decided the days of unleavened bread start on the fifteenth of Abib, making it the first annual Sabbath of the year. 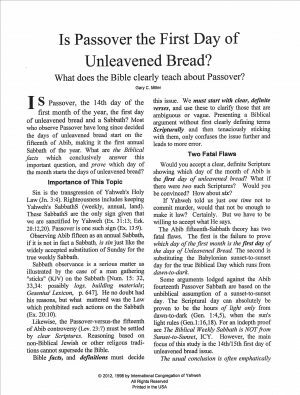 Would you accept a clear, definite Scripture showing which day of the month of Abib is the first day of unleavened bread? What if there were two such Scriptures? Would you be convinced? How about six?